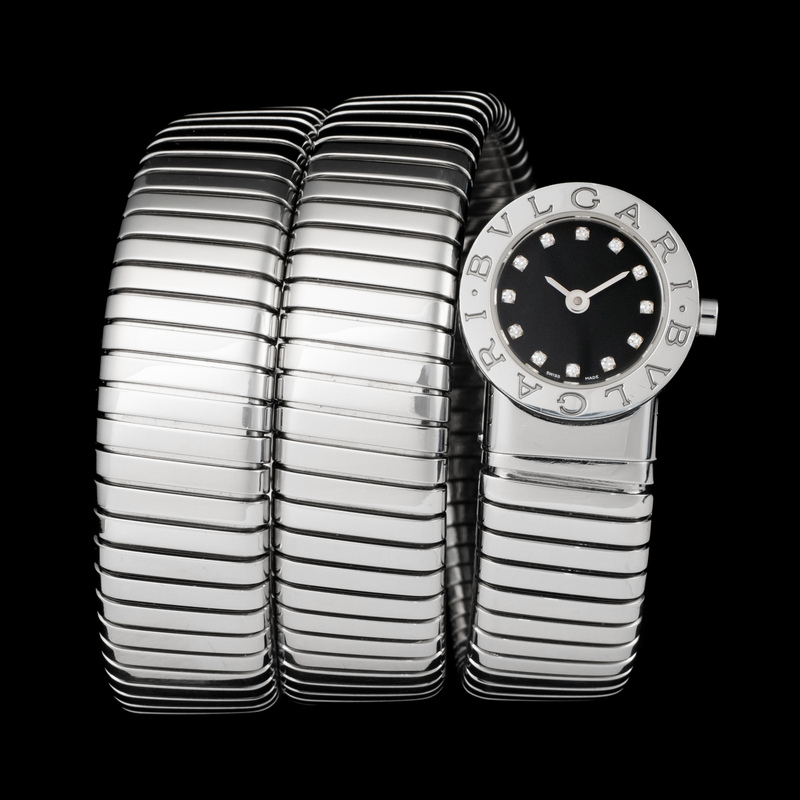 A stainless steel Bulgari watch, "Bulgari Bulgari" collection, three strands tubogaz bracelet. Black dial, diamonds index. Small size. Quartz movement.